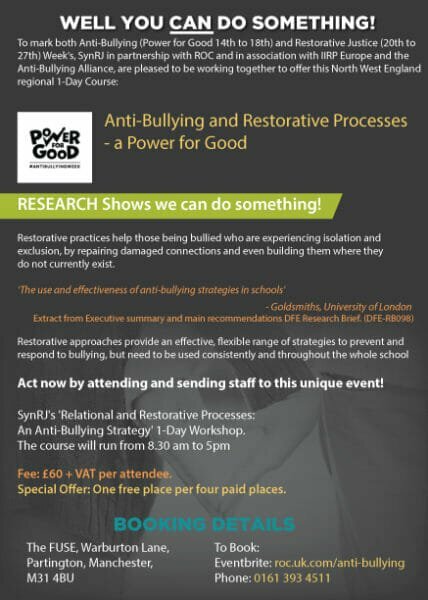 To mark Anti-Bullying Week (14th-18th Nov) and Restorative Justice Week (20th-27th Nov), we’re thrilled to be working in partnership with SynRJ to offer a training day on 8th November at the FUSE entitled ‘Anti-Bullying and Restorative Processes – a Power for Good’. 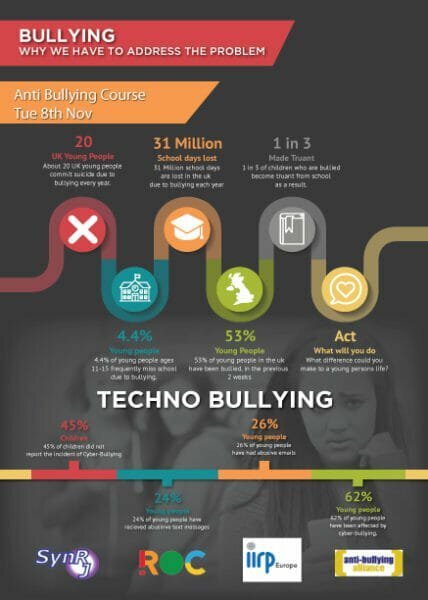 In a recent study, 27 approached schools reported that through the use of restorative practices there was an average success rate of 84% at stopping physical, verbal, relational and cyber bullying. 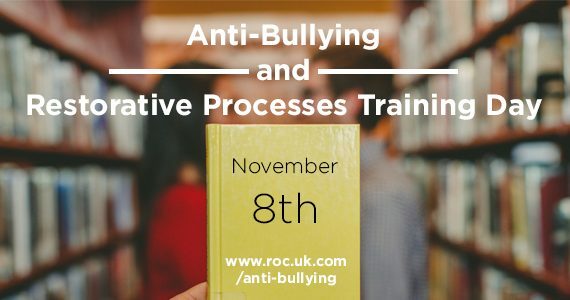 Participants will learn how to use relational and restorative processes to effectively engage young people and their parents on a range of bullying issues including cyberbullying. Entry is £60 + VAT and we’re running a special offer of one free place per four paid places.